Let’s say I was feeling inspired to give someone $1,500 tomorrow. Who should I give it to? That’s a difficult question to answer. Should I give it to Kenneth Griffin? Nope! That’s a really easy question to answer. 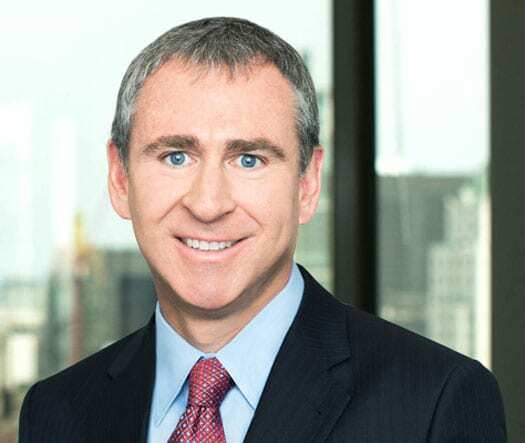 You don’t give extra money to Kenneth Griffin because Kenneth Griffin is already really rich. And guess what: Harvard is already really rich. Now, Griffin, the founder and chief executive of the global investment firm Citadel has captured himself a second “biggest-ever” title by laying out a record $238 million for a residential property—in this case, an as-yet-unbuilt penthouse in Manhattan. Where will he stay until the residence, which required the eviction of dozens of tenants from formerly rent-stabilized apartments, is finished? Maybe he can camp out in his $60 million home in Miami or trot across to his $122 million mansion in London. Does Griffin’s philanthropy make up for his flagrant hoarding of the world’s resources, even if it tends to focus on elite institutions in education or art? Reporters Nikita Stewart and David Gelles call Griffin’s abandoned display provocatively tone-deaf in the face of public sentiment. On Thursday, economic advisers to Senator Elizabeth Warren, who is running for president, said that she would propose introducing a new “wealth tax” on the richest Americans. Mayor Bill de Blasio has long pushed for a tax on millionaires earning more than a certain amount of money, but legislators in Albany have not supported that plan. On Thursday, he called for an expansion of the mansion tax. Currently, buyers of homes that sell for $1 million or more are required to pay a 1 percent tax. The tax, the mayor said, needs to be adjusted to “explicitly” target “high-value purchases” to generate extra revenue that could be used to create affordable housing. The article also features a small argument among observers about whether Griffin is a celebrated philanthropist to be eagerly courted or simply reprehensibly greedy. It’s a half-hearted choice at best, since most of us have long since understood that the two designations are often found together. A report from Oxfam finds worldwide wealth inequality at new extreme highs, with 26 people having as much wealth as the bottom 50 percent (3.8 billion) of the world’s population.